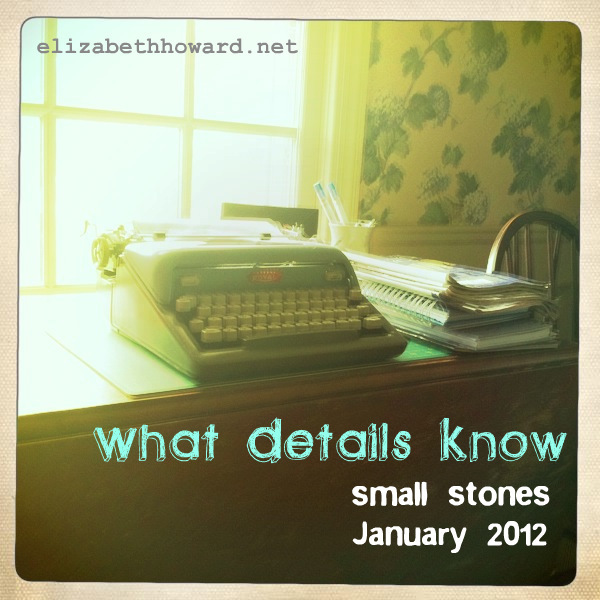 Daily this January we will be writing “small stones”. Anyone can join The River of Stones… you only have to pay attention, use your senses and notice the details of the world. Look for small stones here on my site, and also on The River. Enjoy!